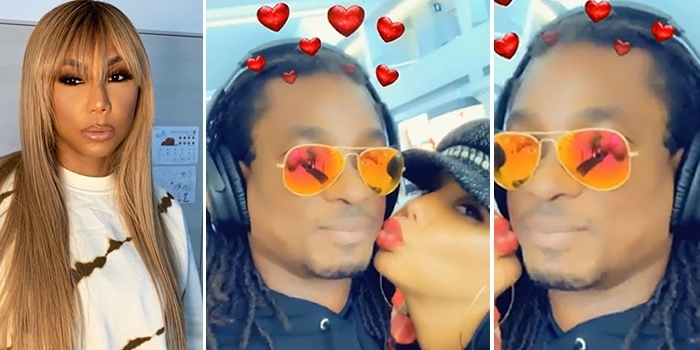 American singer and Reality TV star, Tamar Braxton, 42, broke-up with her Nigerian boyfriend, David, but reconciled less than 24 hours later. Less than twenty four hours after that, the mother of one took to the social networking app to share a video of them at the airport and finally disclosing his identity. She quickly denied that they broke up dismissing it as simply her being “extra”. “I be mad, mad but not too long at this one, he way to fine for that,” she wrote.